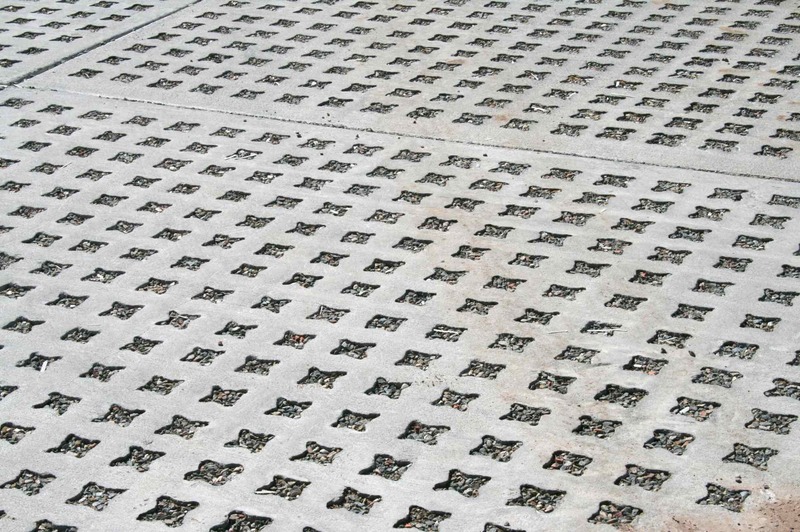 Definition: Continually reinforced, ready mixed concrete that has a defined pattern of voids achieved through the use of a disposable form that once removed and replaced with stone or grassed soil allows water to pass through the concrete. Grasscrete is commonly known as Void Structured Concrete. 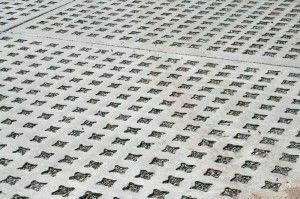 The pervious nature of the product is not reliant upon a mix design but rather a mechanical system to incorporate the voids in a highly defined and regular mannerns.